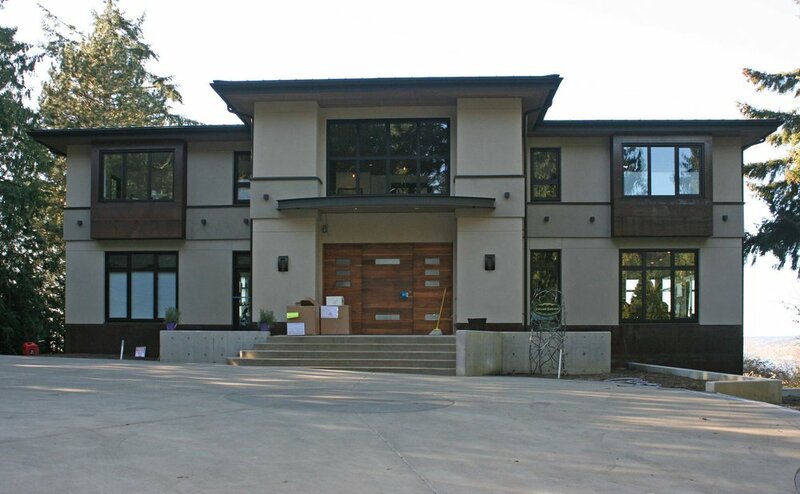 Contemporary home overlooking Puget Sound. 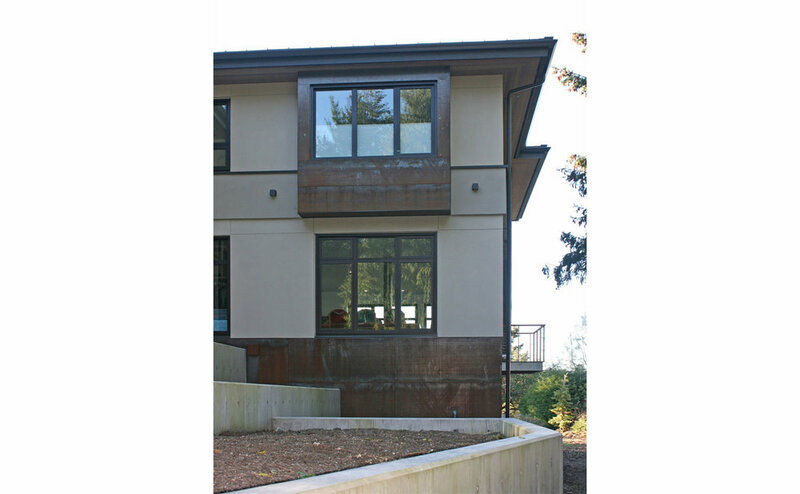 Exterior materials of stucco and Corten steel. 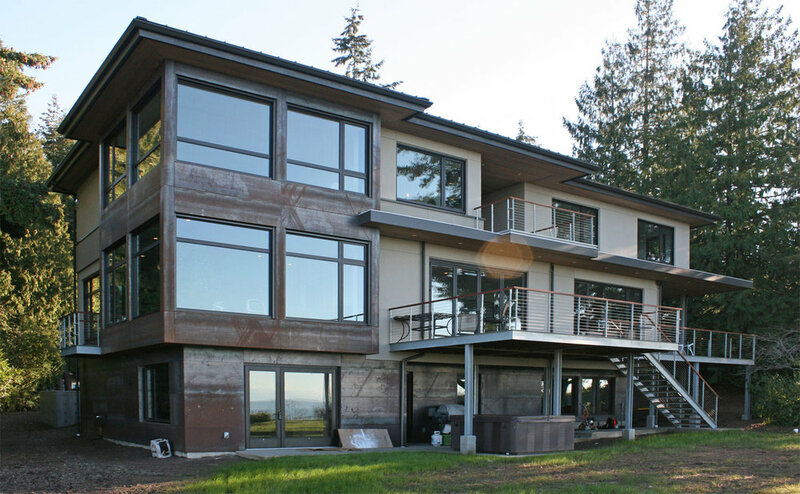 Interior 6,800 SF divided amongst three floors to take advantage of the western views of Puget Sound. 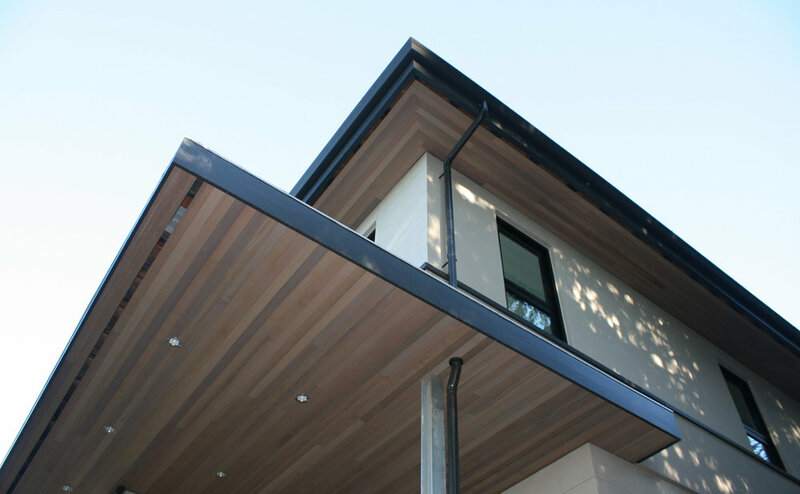 Interior features include Corten steel stair tower from basement to upper floor, boxed see-through book shelf wall and simple clean door and window details.